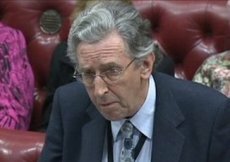 Whilst the UK government professed its commitment to the India-brokered road map talks in the UK’s House of Lords this week, in less official forums MPs appeared to have reached a damning verdict on the current Maldives administration, discussing punitive measures and demanding apologies for perceived sleights. 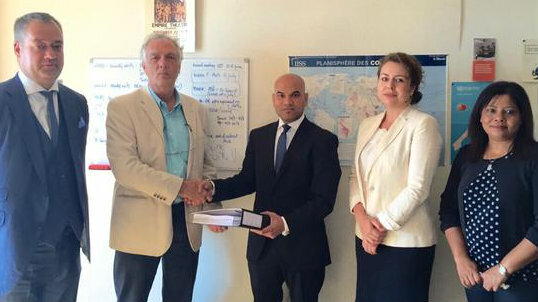 Lord Howell of the Foreign and Commonwealth Office (FCO) avoided any conclusive statements in the face of questions from the House regarding the legitimacy of President Mohamed Waheed Hassan’s government, promising only support for the work of the Commonwealth and the Commission of National Inquiry. This followed a meeting the day before of members of the All Party Parliamentary Group (APPG) on the Maldives who used offices provided by the UK Parliament to hold a meeting entitled “Democracy Derailed: Political turmoil in the Maldives”. A source present during the meeting has given Minivan News their full account of the discussion. The source, who wished to remain anonymous, said that those who spoke about the current situation in the country were the MP for Salisbury, John Glenn; Queen’s Counsel, Sir Ivan Lawrence; former Foreign Minister for the Maldives government and current UN Special Rapporteur on Iran, Dr Ahmed Shaheed, and former Deputy Health Minister Mariya Ali. Also said to have contributed to the panel were Helen Grant MP, Mike Gapes MP, and former Maldives High Commissioner to the UK Dr Farahanaz Faizal. Dr Faizal has actively opposed the current administration since resigning from her position, shortly after the departure of former President Mohamed Nasheed. She has since remained in the UK, working on behalf of the Maldivian Democratic Party (MDP) in raising awareness of perceived human rights abuses and democratic failings in the Maldives. The former Deputy High Commissioner and brother to President Dr Mohamed Waheed Hassan, Naushad Waheed, was also present as were Maldivian students and families from the UK. Representatives of civil society organisations including the Commonwealth Human Rights Initiative and Third World Solidarity were also in attendance. Chairman David Amess reportedly opened the meeting by expressing his disappointment that the Maldives government had declined to send a representative from the UK High Commission, despite being offered the opportunity to do so. This has been disputed by Acting High Commissioner to the UK, Ahmed Shiaan, who claimed that the UK High Commission had received no official invitation. The MP from Salisbury, John Glenn, expressed “no doubt” that there had been a coup d’etat in the Maldives, our source reports. “[The] democratic will of the people of Maldives has been tossed aside,” Glenn is alleged to have told the group before mentioning his distress at the comments recently aimed at both the UK and the Commonwealth by the Maldives’ new governing coalition. Glenn’s Salisbury constituency served as the base for former President Mohamed Nasheed during his exile in the UK. The Friends of Maldives (FOM) organisation, responsible for a recent travel advisory which pleads with tourists to avoid any resorts associated with alleged coup conspirators, is based in Salisbury. Perceived interference from the Commonwealth, whose Secretariat is based in London and whose figurehead remains Queen Elizabeth II, has attracted scathing criticism recently in the Maldives. Dhivehi Qaumee Party (DQP) MP Riyaz Rasheed accused the Commonwealth Ministerial Action Group (CMAG) as having been “bought by the Maldivian Democratic Party (MDP)” after it had urged the current government to establish its legitimacy with early elections. President’s spokesperson Abbas Adil Riza last week went as far as to suggest to Minivan News that the Maldives may consider its position in the Commonwealth, although the reporting of his statement was later dismissed by Abbas in other media as “politically motivated”. Addressing the all party group, Sir Ivan Lawrence is said to have spoken of his lack of faith in the Maldives’ judicial system, based on his visits to the country during the Maumoon Gayoom era. “It is now surely important for the same international community that helped to bring about the first democracy, to underline the importance to the new regime of holding speedy free and fair elections, so that power may be restored as quickly as possible to the people of the Maldives,” Sir Lawrence purportedly quoted from a letter he had recently sent to UK newspaper, The Times. Mariya Ali is alleged to have discussed human rights violations in the Maldives as well as police brutality, before giving the floor to Dr Shaheed who is reported to have suggested that the Gayoom coterie lost their grip on power as a result of attempts to placate the international community. Dr Shaheed apparently expressed his opinion that they were unlikely to repeat this mistake, citing Dunyha Maumoon’s comments regarding “civil war” as evidence of this resolve. Shaheed stated that the current government will not hold early elections, but rather will work to enfeeble the opposition MDP between now and the scheduled poll date. Shaheed is also said to have expressed his concern that the independently minded Election Commissioner Fuad Thaufeeq would now be targeted by the current government due to his reputation for impartiality. The debate is also said to have included mention of the recent insults leveled at the Queen, the Commonwealth, and the UK government. During DQP MP Riyaz’s diatribe on DhiTV, he argued that the British public had funded the MDP in return for the establishment of churches in the Maldives and also that they hated the Maldives for gaining independence from Britain. “The English hate us. Why? Because Ibrahim Nasir saved us from slavery and brought us independence, since then what have the English done for us?” he said. 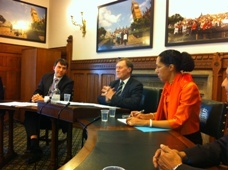 In agreement with the opinion of a member of the public in attendance, David Amess is reported to have said that the government of Maldives should issue a full apology for Riyaz’s outburst and, in concurrence with the other members of the APPG, he argued that the issue should be brought before Parliament. Additionally, Amess is reputed to have stated his feeling that the attendance of President Waheed at the Queen’s Jubilee celebrations this year would be inappropriate. Minivan News has obtained video footage of this section of the discussion and can confirm an unidentified voice from off-camera suggesting an early-day motion regarding this topic. Early day motions are a tool used by MPs in the House of Commons to introduce a subject for discussion. They are often used to publicise certain events or subjects and to gauge the level of parliamentary support for such motions. Finally, the meeting is said to have moved on to punitive measures. The alleged consensus was that European travel bans had greater potential to damage those alleged to be behind a coup. The option of resort boycotts was dismissed as too damaging to the Maldives’ economic lifeblood. The validity of this meeting has been questioned by the Acting High Commissioner, Ahmed Shiaan. Shiaan pointed out that the discussion initiated in the House of Lords on March 22, at which the FCO was represented, should receive more prominence as it better represents the official line of the government. When Lord Howell of the FCO was in the Lords about the potential suspension of the Maldives from the Commonwealth, his response was that this decision was up to the whole of the Commonwealth to decide upon, not just one member. “We must move to encourage democratic elections, and that is what is proposed in the India-brokered plan, which we welcome and support,” said Lord Howell. One member of the House asked if Lord Howell felt the government was doing enough to ensure an independent international enquiry after what was regarded by some as a coup.